Choosing a good accommodation in Venice is a tough task. I’m sure that you don’t want to pay 100+ EUR for a one way transfer from the airport. 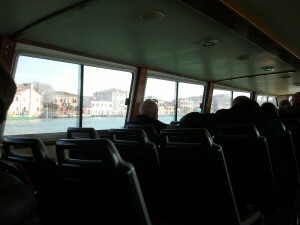 It is better to use a water bus by Alilaguna that will take you from the Airport to Venecia and back for 25 EUR. For some reason this transport company is not promoted among tourists. Knowing this you can choose and do a smart booking of the hotel. It should be accessible from a direct line of Alilaguna. It means that there are actually two good options – stay in the area of F.T. Nove or in San Marco. San Marco is not really a wise option from the view point of a budget. F.T. Nove was also recommended by some locals. There should be a supermarket near an accommodation. Even frequent travelers are sometimes tired of eating in restaurants and buying some light snacks is an option. 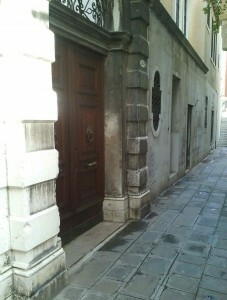 Accommodation should provide a good access to San Marco. Walking labyrinths of streets might not be so enjoyable in Venice. Plus standard requirements like free Wi-Fi. Residenza Ca’ Zanardi – we stayed there during carnival and highly recommend this residence. Located just 2 minutes walking from F.T. Nove stop (means that you can take a water bus directly from an airport and arrive here). Friendly management. And you don’t need to enter a Wi-Fi password each time you login. Locanda Cà Le Vele – this was our second hotel in Venecia, but due to a flight canceled by Alitalia we had to cancel the stay in this hotel. It is located near the mentioned Ca’ Zanardi. A problem might be that the reception that is opened only in the morning. They serve breakfast directly in the room, which might be nice. After a busy time in Venice it might be a good idea to spend 1 night in a hotel near the Marco Polo airport. It is more comfortable if your flight is early in the morning or you simply need to stay overnight, but don’t want to pay for a costly hotel in Venice. A good option is BEST WESTERN Titian Inn Hotel Venice Airport. They are located a 5 minutes’ drive from airport and I suggest using a regular shuttle service. Make sure you book this hotel in advance to get a better price per night. A standard offer for such types of hotels is a free parking and Internet. Above I was writing about my more or less economic stay in Venice (we did stay during high season during Carnival so the budget was important). There are some luxury options as well. One of the best offers was provided by Luna Hotel Baglioni. 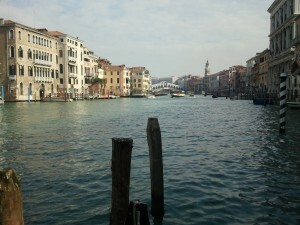 It is one of the luxury hotels located just a few minutes from San Marco. If you decided to stay there during Carnival then make sure that you stay within the time when the ball is hold there. According to our experience and to the feedbacks from the previous years, their ball is one of the best. You need to confirm this at the hotel, but normally a ball is included in the room price.